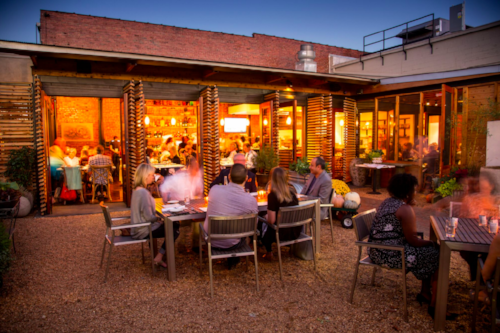 Experience all that Birmingham restaurants have to offer, by taking advantage of countless sublime patios and outdoor seating, while enjoying local cooking. 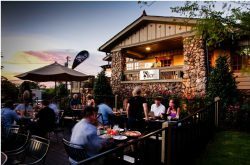 As Fall approaches, the cooler temperatures invite you to some of the best outdoor seatings in Birmingham. 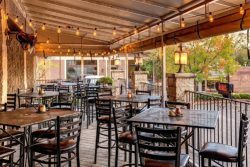 From sidewalk seating, to back porches, covered patios, and front porch dining’s, we offer you a sample to enjoy all the Magic City has to offer.  Check out the app for even more daily specials! Found near Crestwood Park, this local eatery includes casual vibes serving Pizza, Pasta, Sandwiches, and Craft Brews. Come by and relax at one of the top atmospheres in Birmingham. In the heart of Lakeview, this chill pizzeria pairs pizzas cooked in a stone oven & craft beers in hip digs with a fireplace. Enjoy this fun outdoor environment while eating local and drinking local. 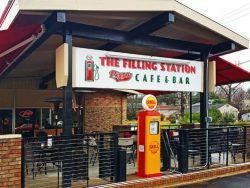 Located in the Crestline neighborhood, this cozy bistro with pizza, salads & pasta serves as a perfect venue for your craving of New York Style pizza, while enjoying the lively Crestline district.